Dr. Labor was among the first Dallas/Fort Worth eye surgeons to perform laser-assisted cataract surgery so our patients can have the best advancements available. Previously approved for LASIK, the femtosecond laser significantly improved LASIK surgery precision. That same laser-assisted technology is now making cataract surgery smarter, faster, and better than ever. Our laser-assisted surgery suite uses the IntraLase laser and Verion Image-Guided System. Using the IntraLase, Dr. Labor makes a tiny incision in the cornea with femtosecond precision. Once this incision is made, he can gently break apart the cataract and effectively implant the artificial lens. 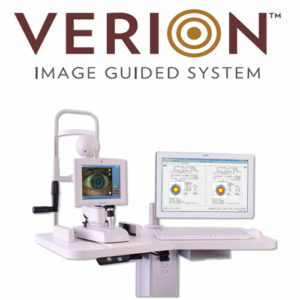 The Verion allows him to customize each step of the procedure to your eye with greater accuracy. As an early adopter of femtosecond technology for LASIK, Dr. Labor applies that experience and skill to every laser-assisted cataract procedure. This starts with a thorough examination to assure the procedure is the right option for you. Contact our Grapevine office at 817-410-2030 to learn more or set up an appointment.